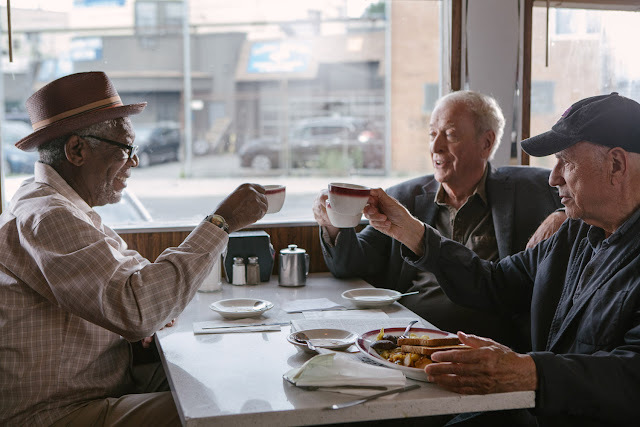 A fun and fast-paced comedy with both heart and bite, New Line Cinema's Going in Style showcases the remarkable star power of film legends Morgan Freeman, Michael Caine, and Alan Arkin, together on screen for the first time. In the film, there’s only so much a guy can take, before he has to do something about it. Sometimes in a way no one ever sees coming. 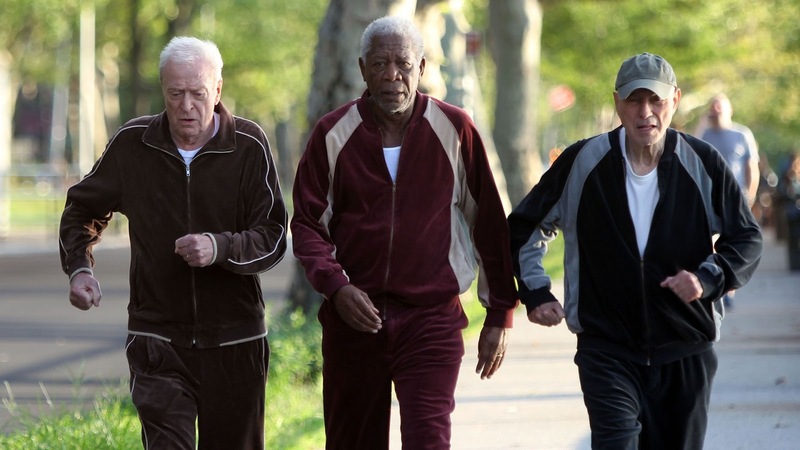 Take Willie (Freeman), Joe (Caine), and Al (Arkin). These big-hearted, upstanding Brooklynites with a friendship forged on the assembly line at Semtech Steel never saw themselves as the kind of men who would dare to rob a bank. Of course, they never thought their bank would rob them. Now they’re mad as hell. Screwed over by the pension and mortgage systems and convinced they have nothing left to lose, these late-blooming, would-be criminal masterminds throw in together for a one-time plunge into a risky, unfamiliar—and oddly invigorating—world of split-second timing, disguises and getaway cars. Syncing their alibis, they prep to pull the perfect heist and take back what’s theirs if it’s the last thing they do. No more, no less. They’re pushing their luck. They’re pushing the limit. They’re also pushing 80…but that doesn’t matter, because standing up for yourself never gets old. Played largely for laughs, Going in Style also strikes a note of genuine outrage over the machinations of big business, which might ring true for a wide audience—many of whom, like Joe, Willie and Al, have felt the pinch of disappearing benefits and bait-and-switch loans, and fallen into the breach between what they were promised and what they got. Opening across the Philippines on April 6, 2017, Going in Style is distributed by Warner Bros. Pictures, a Warner Bros. Entertainment Company.